Free health screening at Sam’s Club. All Sam’s Club’s with a Pharmacy will be offering a free health screening valued at up to a $150 on Saturday, October 13, 2018, 11 am – 4 pm. (2nd Saturday in January, April, July and October). You do NOT have to be a Sam’s Club member to use the pharmacy and/or take advantage of this free screening. If you’ve been thinking about joining Get $20 off membership. Screening types and quantities may vary by state and club. Limited quantities available. Screenings only available at clubs with a Pharmacy. Get more screening info here. 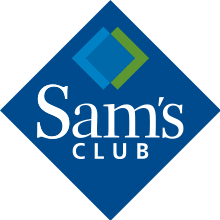 Find a Sam’s Club Pharmacy near you. Call the Club to confirm they are offering screenings.